Since version 10.3.0. you may connect up to 12 safe expansion modules to the base unit PNOZ m B1 on the right-hand side. Previously you could only connect a maximum of 8. The new output module PNOZ m ES 14DO with 14 semiconductor outputs is now also available for modular expansion for non-safety-related standard applications. PNOZ m B1 enables precise tailoring to the application using expansion modules; there are no input and outputs available on the base unit itself. In conjunction with PNOZmulti 2 you can also use the new safety mat function element for your safety application. 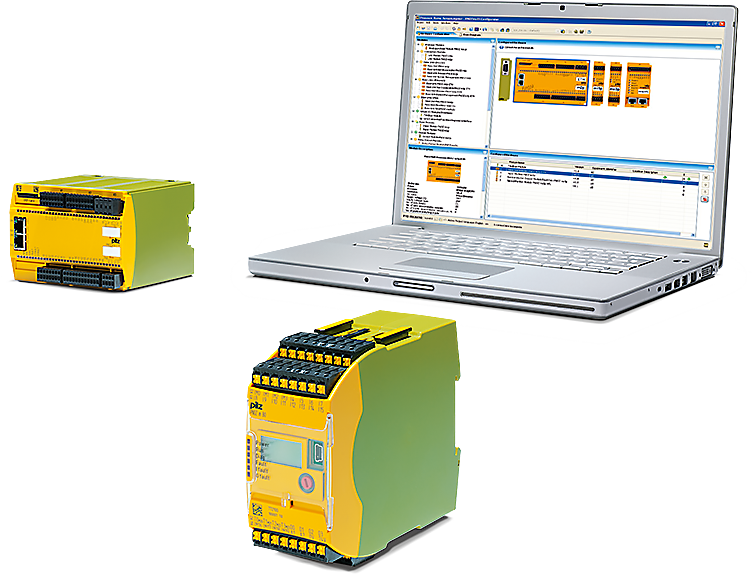 You can also select expanded diagnostics PVIS and the fieldbus modules for PROFINET and CC-Link in the software tool for the base unit PNOZ m B1. With our newest version 10.4.0 a list can be generated, containing all the modules used in the hardware configuration as a CSV file. The parts list includes the order number and the quantity for each product used. It can be imported into Pilz E-Shop.